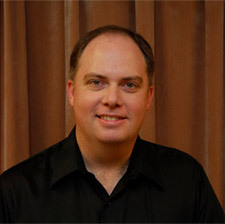 Dr.Grant Dalton has been the professor of percussion studies at Samford University since 2001. In addition to his studio teaching, his duties there include directing the Samford Percussion Ensemble and Samford Steel, the university’s steel drum band. He is also the assistant athletic band director and teaches several academic courses. He is an extra percussionist with the Alabama Symphony Orchestra and the Tuscaloosa Symphony Orchestra, and he is the percussionist for the Birmingham Broadway Series and Broadway Across America. Dr. Dalton also periodically performs with the Alabama Ballet, Opera Birmingham, and the Birmingham Art Music Alliance. Before moving to Alabama, he regularly performed with the Springfield (Ohio) Symphony, the Westerville (Ohio) Symphony and the Dayton Philharmonic. He is a graduate of Lipscomb University, where he earned a bachelor of science in instrumental music education and of the Ohio State University, where he earned the degrees master of music and doctor of musical arts. Both of these degrees are in the field of percussion performance. He is a member of the Percussive Arts Society, the College Music Society, MENC, Phi Mu Alpha Sinfonia, and Pi Kappa Lambda. He is the president of the Alabama chapter of the Percussive Arts Society, and he regularly hosts the Alabama Day of Percussion.